God is not a leprechaun. As I understand the folklore, the little green-clad fellas are quite rich but would do anything rather than part with their shiny gold coins. 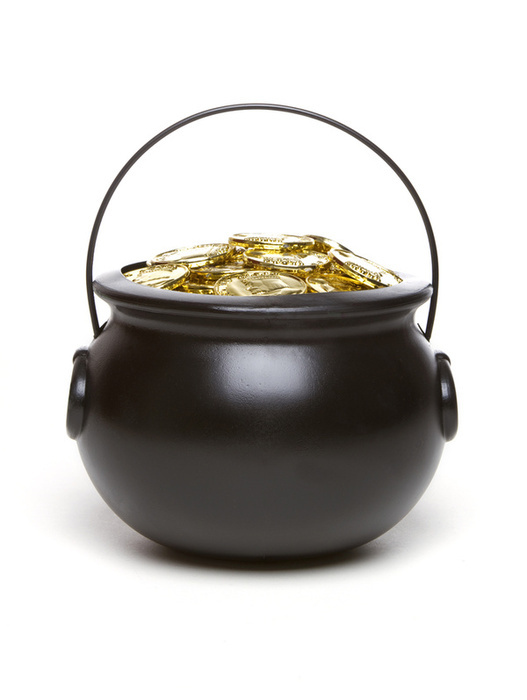 If you manage to catch one, however, you can then negotiate for his pot of gold – if you’re lucky. But our Heavenly father is not reluctant to bless. We do not have to catch Him at the right time or right mood and then negotiate with Him to open His hand to us. He is good, profoundly so, and more generous that many are often willing to consider. As my eyes fell across Exodus 23:25 this morning, I was struck by how it reveals the nature of God. “You shall serve the Lord your God and I will bless your bread and your water, and I will take sickness away from the midst of you.” Here, God presents His design and desire to bless His people. Their bread and water will be blessed, and He will actively drive out sickness from their midst (the Hebrew syntax is not as mild as the English suggests). This promise is an expansion of Exodus 15:26, and is developed further in Deuteronomy 7:14-15. What impresses me, happily, is that we observe in these passages that blessing is God’s idea and His ideal. Israel doesn’t initiate the concept of being blessed. They haven’t written out a list of requests or demands to be fulfilled by a reluctant deity. Blessing comes from the heart and mind of God. He thought of it. Blessing is God’s idea. Further, blessing is God’s ideal – it is His preferred state for His people. The best thing He can imagine for His people is them blessed: them not lacking supply, nourishment, offspring, or health. Blessing is not the exception to the rule (for the lucky); it is not elusive; it is not exclusive. Blessing is what God prefers for His people. Now, one might counter with “Hey Dav, you know that blessing was only promised to the obedient, right?” Yes. I know. But that does not counter the concept, it affirms it. Obedience is God’s preferred state for His people: us following His wise, loving and altogether good leadership. And, just as preferred for us as obedience, is blessing. They are both God’s idea and ideal. Blessing was not God’s reluctant response to good behavior. Obedience facilitated the funnel through which God could bless. I realize that the subject of blessing raises the ire of some. Too many folks are too eager to make sure no one tries to talk God out of His pot of gold. Others, to be fair, erroneously imagine that God IS the pot of gold. Neither of the former agendas are mine. I simply celebrate and give thanks that blessing is God’s idea and ideal for me and my family. I have no need for fear, no pressure to perform, and no reason not to believe for and embrace the blessing of the Lord. God bless you; thanks for reading!